Arthur is now 7 weeks old! It's gone so fast but at the same time, I can't remember life without him. I love being able to spend all of my time with him and at night I find myself gazing at him as he snoozes away, wondering how I got so lucky. Even though Arthur sleeps in my room (and will do until he's at least six months), I wanted him to have his own nursery. As I've mentioned before, my parents gave up a whole floor of their house, to give us our own living space, so I was more than happy to turn my office into a nursery for my little boy. Isn't it just the most beautiful room? After scouring Pinterest for nursery decor inspiration, I finally decided I wanted to go for mint green walls and white furniture. 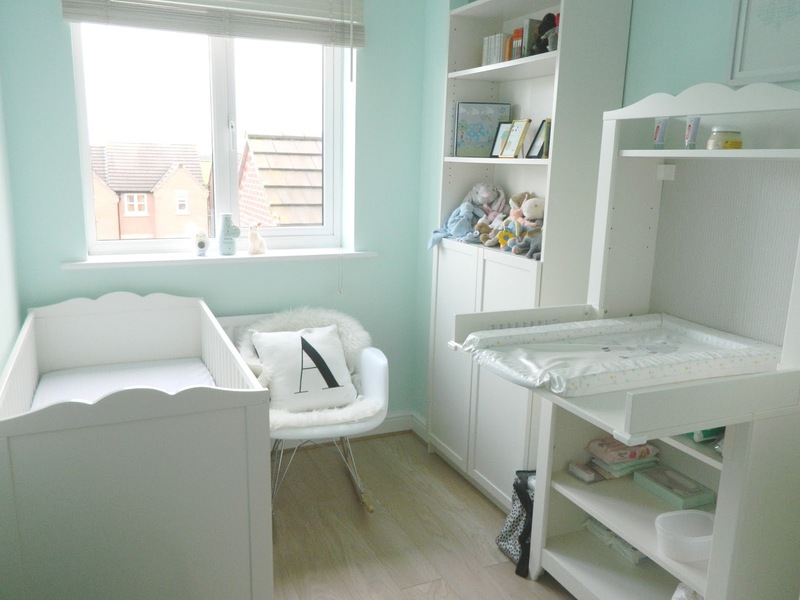 The paint I chose is Ocean Ripple and the furniture, the Hensvik range from Ikea, made up of a cot bed, changing table and wardrobe with a beautiful scalloped design. The cabinet is also Ikea - a piece that was in my office beforehand. Arthur's crib sheets are from Dunelm Mill. They have some lovely nursery sets to choose from but for me it had to be the Little Owls and Dumbo sheets, both of which went perfectly with the nursery colour scheme. 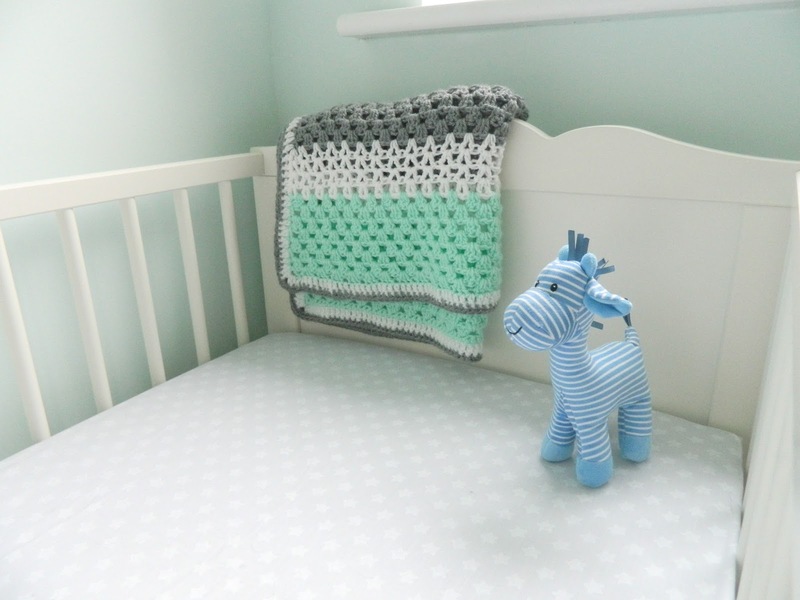 My friend Hannah also kindly crocheted a gorgeous blanket for Arthur. 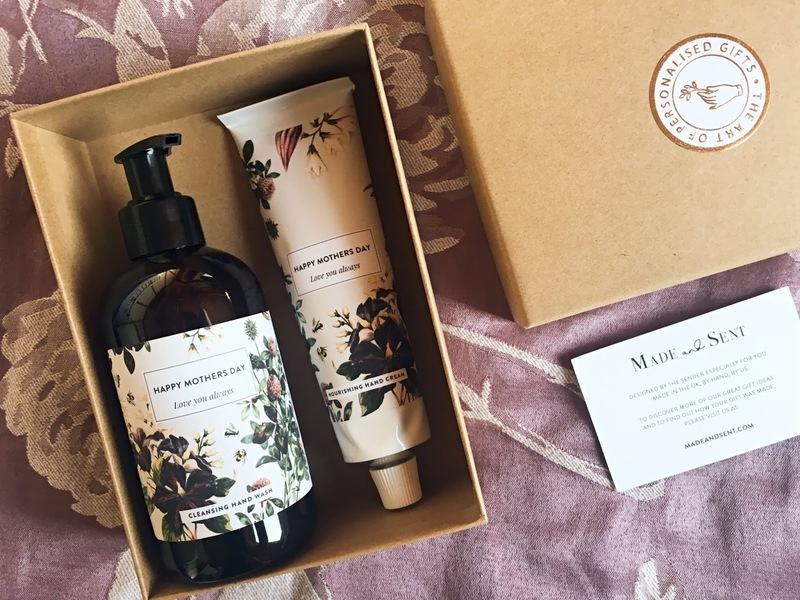 You can't beat handmade in my opinion! The stripy giraffe toy from Mothercare (which has been named Derek) seems to be Arthur's favourite toy - especially if he's playing with his Grandad. He loves lying on the bed and knocking Derek over, while he chortles away. 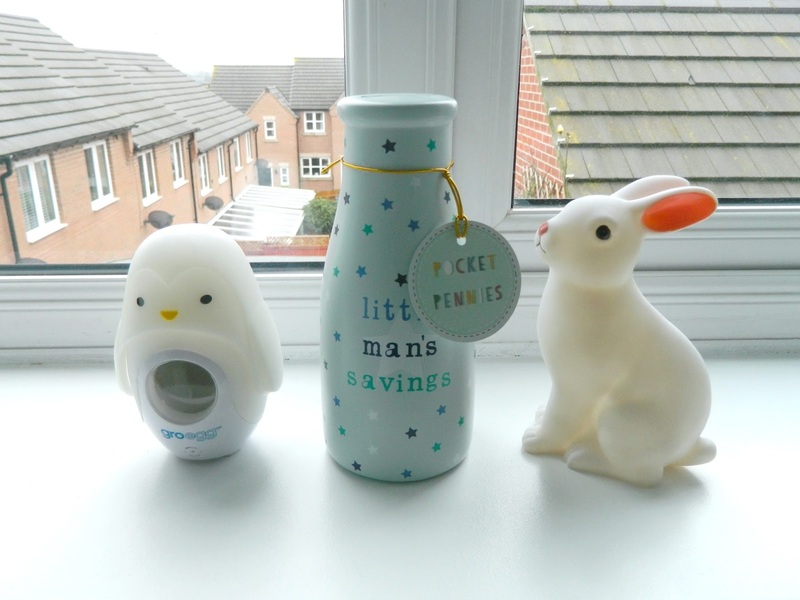 I'm going to be doing separate posts about the Gro-egg and Bunny Night Light, as I've found they're both night time essentials. I actually keep them in my bedroom at the moment but photographed them in Arthur's nursery for the purpose of this post. The beautiful blue Pocket Pennies money box was a present from my best friend Han. All of my spare pound coins are going in there. 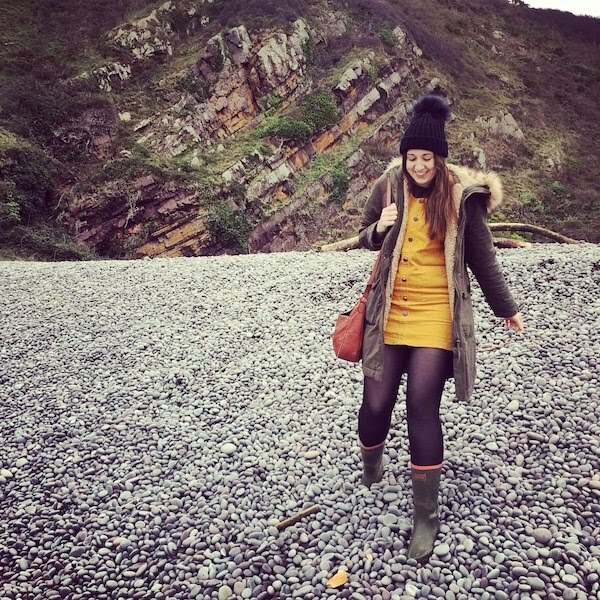 It's never too early for pocket money! Although I like quite minimalist decor, I thought it was important to hang a few things on Arthur's walls to give him something to look at. 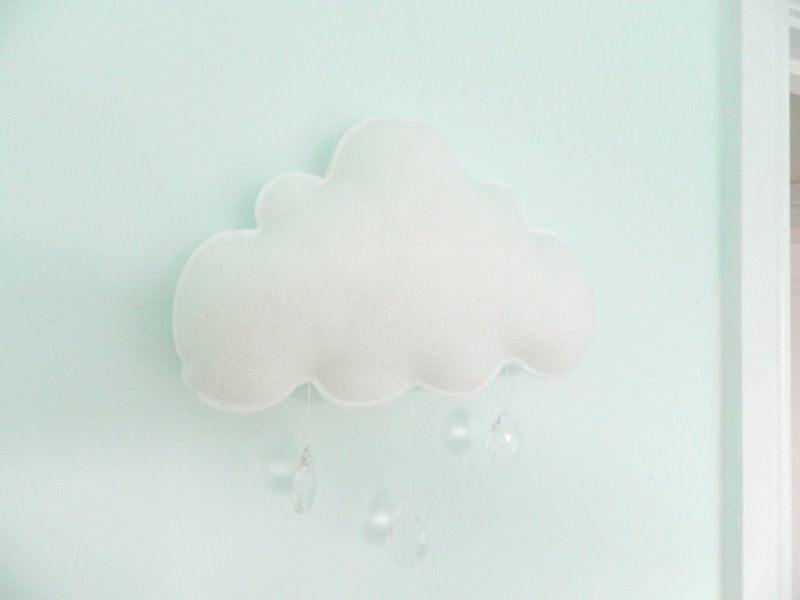 The cloud wall hanger is from Etsy and comes with beautiful crystal drops. It was actually the first thing I purchased for Arthur's nursery. Arthur also has a gorgeous 'What Little Boys Are Made Of' wall print from my friend Katie, which she bought all the way back from South Africa! It hangs pride of place over Arthur's changing unit. 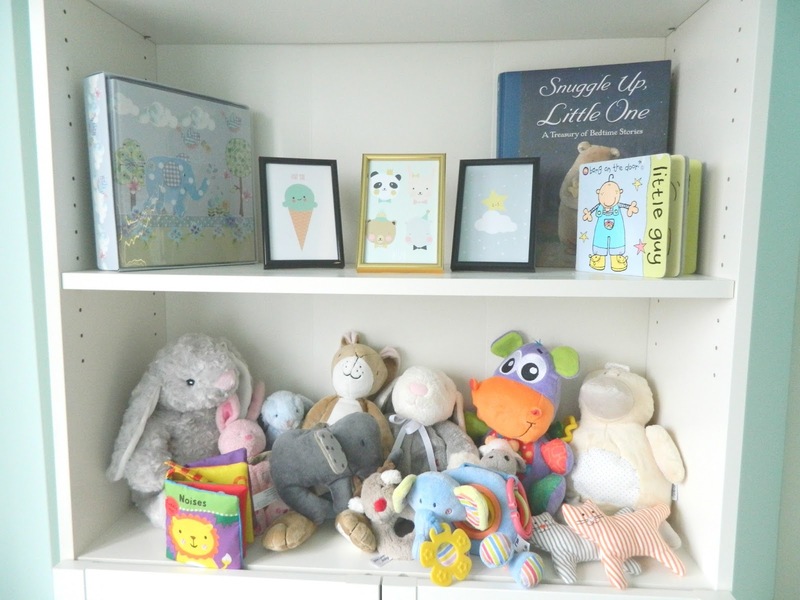 No nursery would be complete without toys and Arthur certainly has quite the growing collection, including an abundance of bunny rabbits! I love taking him into the nursery to see his toys and I always make sure to place one on the changing table, by his mat. He always has such a conversation (in baby coos) with them while he's having his nappy done. 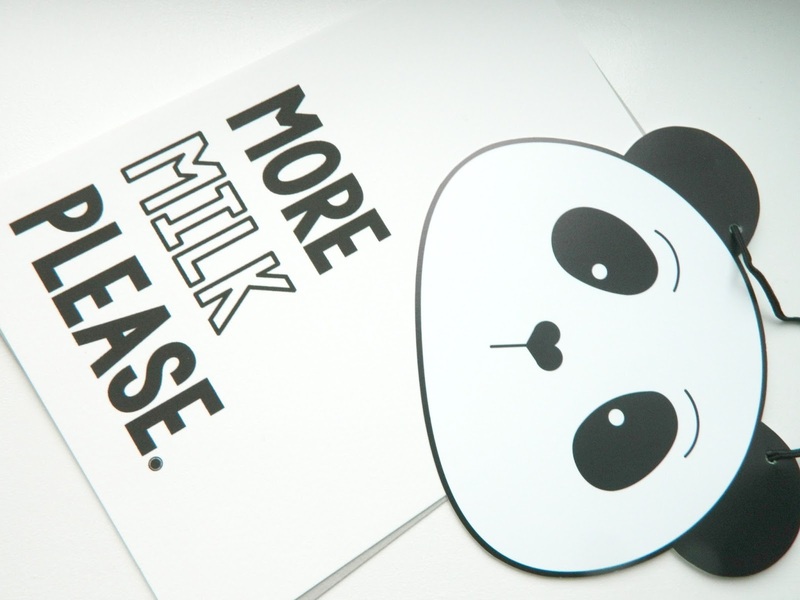 The three little prints by Eef Lillemor are from This Modern Life and I absolutely adore them! I had such a hard time picking out my favourites from the collection. 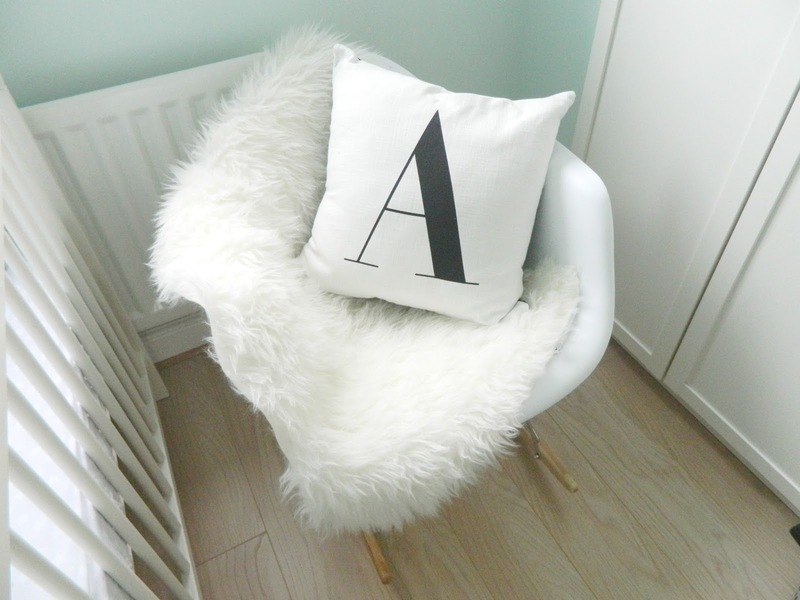 Although I think Arthur's nursery looks so beautiful, there are still a few finishing touches yet to add, including some more prints! These ones are from This Paper Book. I'm planning on sticking them together and hanging them on the wall next to his crib. I hope you've enjoyed having a quick look at Arthur's nursery! I just want to say a big thank you to my mum for painting it so beautifully, Sarah & Paul for the gorgeous furniture and my dad for taking the time to put it all up for me. It's such a lovely room and I think Arthur will love it.